Missouri Highway Patrol Sgt. 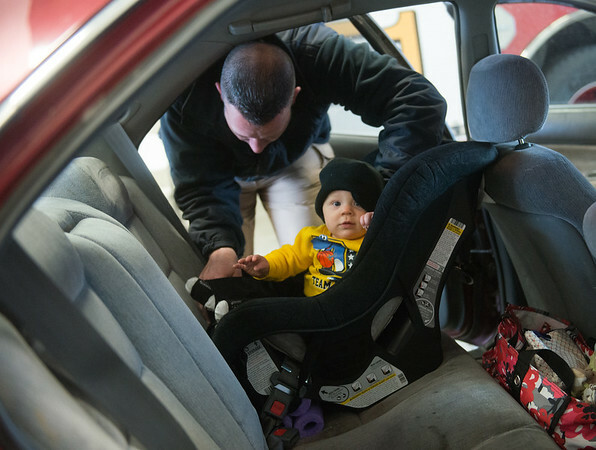 John Lueckenhoff straps Preston Edgington, 9 months, into a car seat during Wednesday's car seat check at Fire Station #2. The Alliance of Southwest Missouri at Joplin firefighters partnered to help properly install car seats.